Explore the adjacent Daintree Rainforest on a guided rainforest walk, kayak or snorkel down the crystal clear Mossman River or sail, snorkel or dive the nearby Great Barrier Reef. 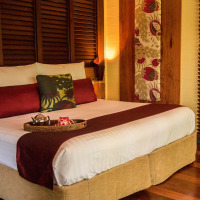 The luxury eco lodge also offers the perfect place to recharge and unwind. 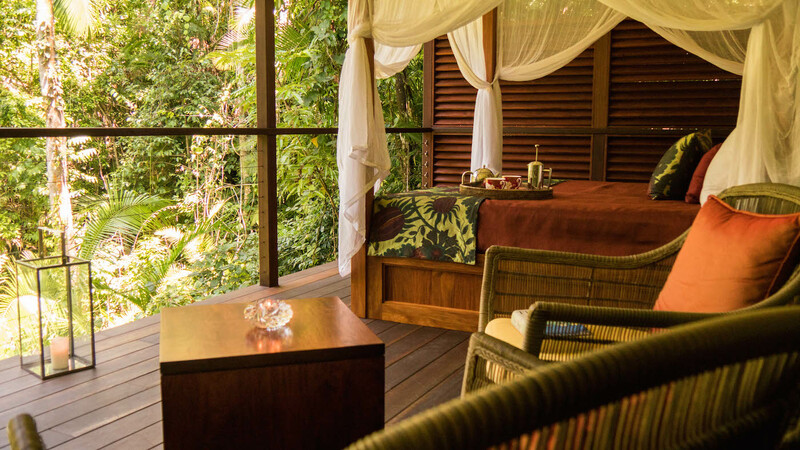 De-stress with a morning yoga class, spoil yourself with a massage at the tranquil Healing Waters Spa, or sit amongst the rainforest canopy at the Tree House Restaurant, enjoying a refreshing cocktail. 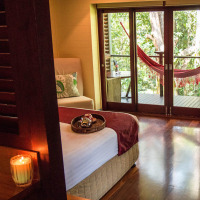 At the end of the day, retreat to your contemporary Treehouse accommodation and relax in your hammock or daybed on your private balcony with lush rainforest views. 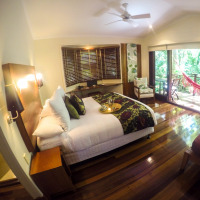 All accommodation options at Silky Oaks are set within the rainforest, providing a true experience of staying in a unique natural environment. 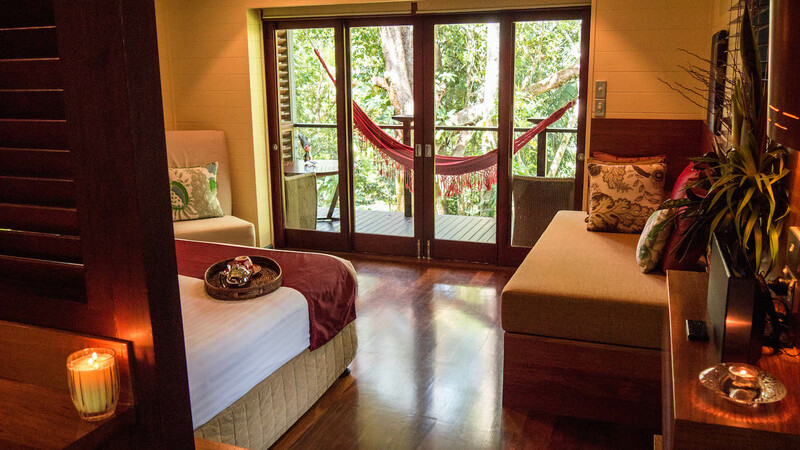 Elegant and contemporary treehouses, styled with subtle tropical influences, offer a cosy and soothing ambience. 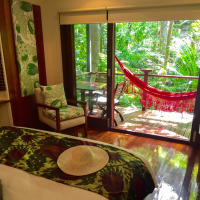 Private balconies with views over the rainforest, river or tropical gardens include daybeds and/or hammocks... the perfect place to relax after your day's activities. Of course for those who just wish to relax, the Healing Waters Spa offers a range of treatments to relax and restore. 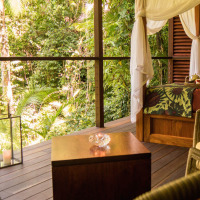 The open-sided Treehouse Restaurant offers spectacular views over the Mossman Rover and rainforest and showcases a seasonal menu of the freshest local produce and fine Australian wines. Enjoy a refreshing drink amongst the rainforest canopy at the Treehouse Bar. The best time to visit the Daintree Rainforest is from May to September when the weather is cooler and drier. If you are looking to include a diving or snorkelling trip to the Great Barrier Reef, June to November generally offers good visibility. Humpback whales can be spotted from May to August and from May to July, dwarf minke whales visit the Northern Reefs. The 'wet season' runs from December to April, with frequent, heavy downpours. 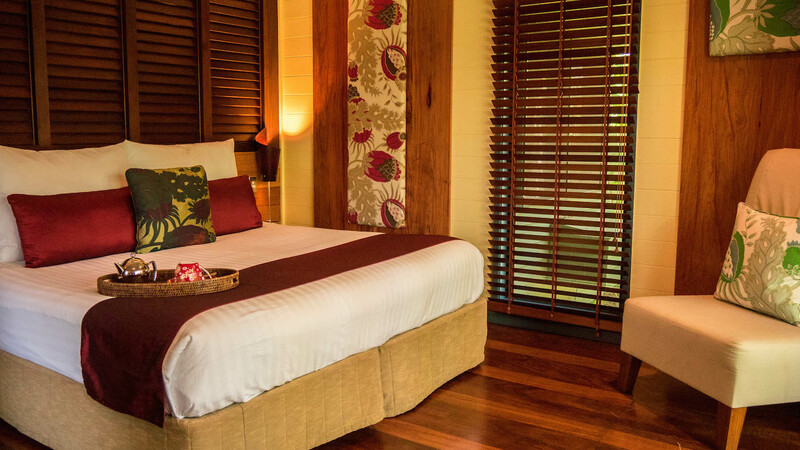 Silky Oaks Lodge is 90 minutes by road from Cairns or 15 minutes from Port Douglas. 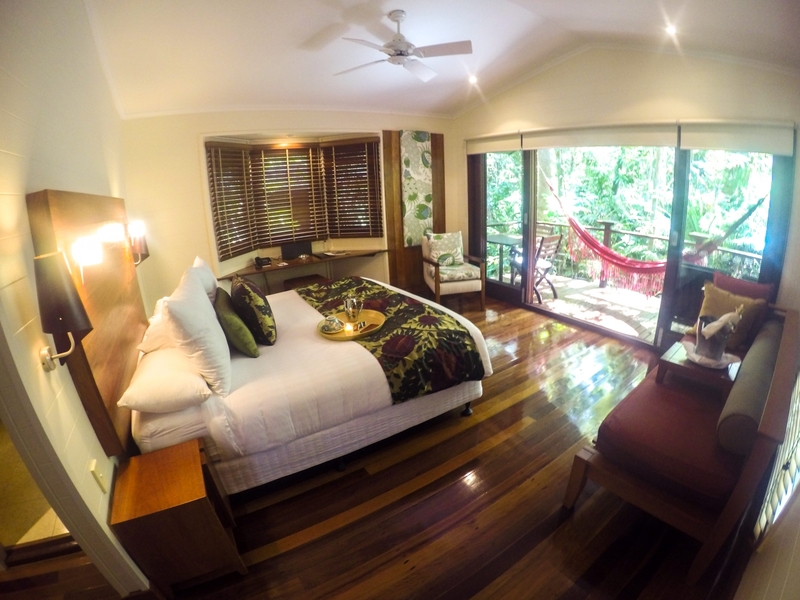 Nightly rates start at AUD398.00 in a Daintree Treehouse. 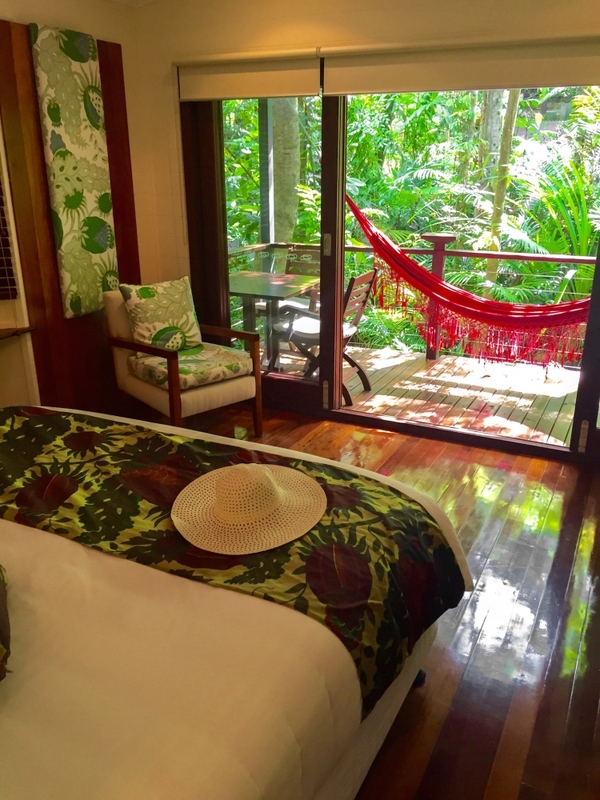 Includes breakfast, use of river canoes, mountain bikes, gym, tennis court, yoga classes and rainforest walk.